Raaga.com: Is Salman Khan and BAJRANGI BHAIJAAN writer Jodi the present generation’s Salim Javed and Amitabh Bachchan combination? Is Salman Khan and BAJRANGI BHAIJAAN writer Jodi the present generation’s Salim Javed and Amitabh Bachchan combination? 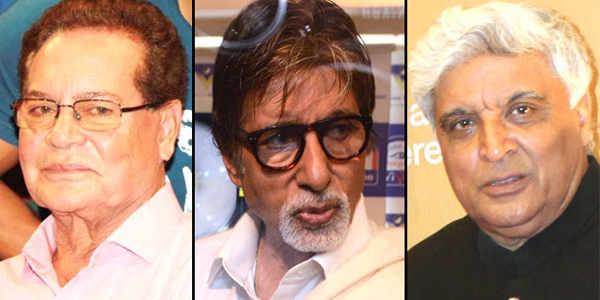 In the 70’s when Amitabh Bachchan was struggling to make it big in Bollywood it was writer pair Salim Javed, who established him as a superstar writing a string of hit films for Amitabh Bachchan. Beginning with ZANJEER in 1973 the combination gave several hits like DEEWAAR, SHOLAY, DON, TRISHUL, KALA PATHAR, SHAKTI, SHAAN etc. Like the Salim Javed and Amitabh Bachchan combination it seems after the mega success of BAJRANGI BHAIJAAN, Salman Khan and its writer Vijayendra Prasad (father of South film maker SS Rajamouli of BAAHUBALI fame) have formed an irresistible blending. According to reports Salman Khan has nodded to yet another script of Vijayendra Prasad and if sources are to be believed the movie is once again based on human values and virtues minus the typical Salman Khan’s action thriller formula. “All I can reveal about the script is that it is an emotional tale glorifying humanism as the most sacred and above all virtues and morals,” he informed. Sources close to Salman Khan disclosed Salman Khan is overwhelmed by the subject and believes the script is yet another full proof hit formula and has the potential to be another BAJRANGI BHAIJAAN. Salman Khan has decided to produce the film. As far as director is considered Salman Khan may consider somebody else other than Kabir Khan as he is quite busy. 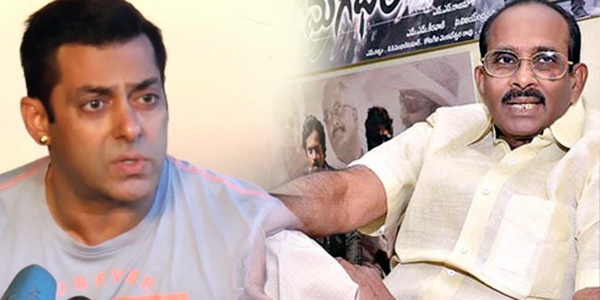 Salman Khan had been going gaga over writer Vijayendra Prasad’s writing style and his amazing creative imagination. In fact, if readers may recollect, soon after the success of BAJRANGI BHAIJAAN, Salman Khan had candidly given the movie’s major credit to the movie’s brilliant script and had applauded Vijayendra Prasad for penning such a sensitive script.